Serving our community while in the pursuit of justice. Van Cleave Law provides legal services to the Mississippi Gulf Coast and throughout the state of Mississippi and is committed to providing the best solution to any problem you have. This could mean providing you with legal representation when necessary. It could also mean providing you a shoulder to lean on and honest legal advice, free of charge. If your problem is outside the scope of Van Cleave Law’s representation, our Biloxi personal injury lawyers will help you find the right lawyer to give your case the hard work and personal attention that you can expect from Van Cleave Law. You will always receive Personal Attention, Honest Advice and Diligent Service. That’s our pledge and our mantra. Confidential Settlement for insurance agents whose principal wrongfully refused to defend them. Mr. Van Cleave began practicing law in Biloxi with Minor & Associates in 1997. In 1999, Mr. Van Cleave joined Lawrence C. “Larry” Corban, Jr. and Clyde H. “Buddy” Gunn, III in the law firm of Corban and Gunn, which was founded by Mr. Corban’s father in 1926. Within a short time, Corban and Gunn became the Corban Gunn Van Cleave Law Firm. After honing his skills working with mentors and partners with more than 100 years of combined law practice experience, and helping collect more than 150 million dollars for his clients, Mr. Van Cleave opened Van Cleave Law with an eye toward providing the very best service to those who have been injured, wronged, or taken advantage of. Van Cleave Law is modeled to be the one-stop law firm for all your personal, family, and business needs. Whether you are in need of legal representation in Biloxi, Gulfport, Laurel, Hattiesburg, Jackson, or elsewhere, Van Cleave Law handles cases along the Mississippi Gulf Coast and throughout the State of Mississippi. Mr. Van Cleave is an AV Preeminent rated attorney, which means that he has been judged by the lawyers he practices with and the Judges he practices before to rank at the highest level of professional excellence. Big Case Capabilities: Van Cleave Law handles complicated litigation and often assists other lawyers facing difficult trials. Personal Attention: Van Cleave Law is committed to taking whatever time is necessary to understand your needs or problems, and to being there to support you throughout the legal process. Compassionate Understanding: No case is too big or small for Van Cleave Law. When you call Van Cleave Law, you will be treated like more than just another number. Everyone who seeks our counsel is entitled to the same attention and understanding. 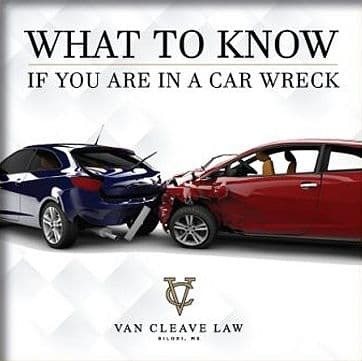 The Biloxi personal injury attorneys at Van Cleave Law handle all varieties of personal injury and business litigation matters, ranging from car wrecks to medical malpractice, wrongful death, and breach of contract and insurance bad faith cases. If the insurance company denies coverage or benefits with no legal basis—or simply to delay your claim in the hope you will go away, you may be liable for bad faith damages, in addition to the amount of your initial claim. 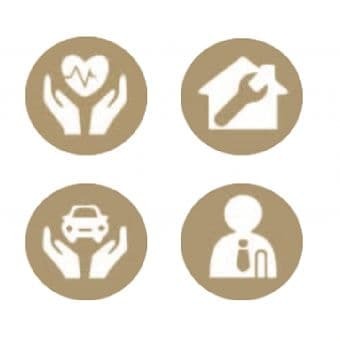 Learn more with our new Insurance Bad Faith page. After a serious injury, business loss or insured loss caused by misconduct, you deserve justice and compensation. At Van Cleave Law, you get a personal injury and contract trial attorney who protects your legal rights and fights for the maximum compensation in Biloxi. Mr. Van Cleave has vast experience in providing legal services to the Mississippi Gulf Coast – he has successfully tried or settled hundreds of cases, helping collect more than 150 million dollars for his clients. Van Cleave Law can begin to evaluate your case today. Contact us at (228) 432-7826 or online to schedule a free initial consultation. The Striving for Justice Scholarship will award one student $1,000 to be used towards his or her educational pursuits. Van Cleave Law, PA wants to hear about how you stand up for others and fight for justice in your local community. For more information about the scholarship application requirements, please visit the scholarship page.